After the double-digit highs of the early 2010s, watching the unemployment rates drop year after year is a heartening sign. But as millions of underemployed Americans can attest, those numbers don’t tell the whole story; there can be a world of difference between being employed — and making ends meet. Unfortunately, many of those Americans are our nation’s veterans, with post-9/11 veterans seeing the highest unemployment levels. Even those veterans who have found work may be woefully underemployed and struggling to make much progress as bills pile up. Though a number of financial and educational resources are available to military veterans and their families, there are no direct government personal loan programs for veterans. With poor credit, you’ll likely need to rely on traditional subprime lenders and military-friendly banks for an unsecured personal loan. Across the population, an estimated 69% of Americans have less than $1,000 in savings, nearly half of whom have nothing at all. Match minuscule savings with underemployment, and it’s a short road to bad credit as you fall behind on credit cards and other bills. Worse, that bad credit can make it even more difficult to find the financing you need to get back on track. In today’s market, however, a number of lenders specialize in bad-credit borrowers and offer personal loans up to $35,000 for those who qualify. Online lending networks, such as our expert-rated options below, can be an easy way to find quotes from multiple lenders willing to work with your credit and provide important financing, all from one simple, quick online application. If you’re looking for a personal loan to consolidate credit card or other high-interest debt, your first step should be to list out all of your debts and the APRs charged by each. This will not only give you an idea of the size of loan you will need, but also the APR you should look to obtain. A successful consolidation will mean obtaining a loan with a lower APR than charged by any of the debts you’re looking to consolidate. For example, consider Pretend Pete, who wants to consolidate his three credit cards. Pete’s credit cards have APRs of 22%, 19%, and 24%, so he should look for a consolidation loan with an APR lower than 19%. This will ensure Pete saves money on the interest fees for all three of his debts. Another option for veterans with less-than-great credit may be to check with their favorite military-focused bank or credit union. These organizations directly cater to active and retired military members, their families, and, often, other government employees, and may be more understanding of the trials and tribulations that can go along with these often high-stress professions. Personal loans offered by these organizations may offer better rates, fees, and more flexible credit requirements than non-military organizations. In addition, these banks and credit unions also frequently offer other financial products designed to help military members and veterans get and stay on financial track, including checking and savings accounts, as well as auto and home loans. The USAA’s membership is open to all active and former members of the military and associated family members, as well as eligible cadets and midshipmen. USAA offerings include a wide range of financial and insurance products, including services to help with everything from auto, life, and renters insurance to banking accounts, credit cards, and personal loans. You can even prepare for the future with a USAA investment account. Navy Federal Credit Union membership is open to active duty members of the Army, Marine Corps, Navy, Air Force, and Coast Guard, members of the Army and Air National Guard, Delayed Entry Program (DEP), DoD Officer Candidate/ROTC, DoD Reservists, as well a associated veterans, retirees and annuitants. The credit union provides personal loans, auto and home loans, banking accounts, and credit cards among its many services. You can join the Pentagon Federal Credit Union (PenFed) by being an active or former member of the US military, but you can also qualify by working for an eligible government organization, qualifying volunteer group, or associated family member. PenFed has a variety of financial products that include personal loans, credit cards, and checking and savings accounts. Depending on your particular situation and needs, you may also want to look into potential grants and assistance available through third-party and support organizations and nonprofits. For example, the Veterans of Foreign Wars (VFW) offers grants up to $1,500 to eligible service members through its Unmet Needs program. For those who are considering a personal loan to make important or beneficial home improvements, a personal loan may not be the best route to take, particularly for veterans who can qualify for a VA-backed home loan. While primarily considered as a way to purchase a home without a down payment, VA-supported programs can also be used to refinance your current loan, either through an Interest Rate Reduction Refinance Loan (IRRRL) or Cash-Out Refinance loan. Refinancing your current mortgage with a VA-backed mortgage loan can not only potentially save you money with a lower interest rate, a Cash-Out Refinance loan could also put extra money in your pocket equal to your home’s equity. You can refinance with a VA-backed loan even if your original mortgage was a conventional or FHA loan. 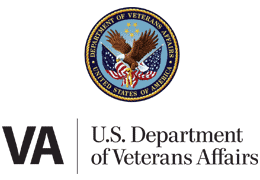 Use the link below to find out more about VA loans. Veterans who need to make alterations to their home — or purchase/build a new home — to adapt to a service-related disability may also qualify for a Special Housing Adaptation (SHA) grant through the VA. While only certain conditions will qualify, these grants will not need to be repaid and can generally be obtained regardless of your credit score. No matter how much money you make, you can easily find yourself a few missed payments away from a poor credit score — and the odds only get worse when you’re struggling with unemployment or underemployment. For thousands of veterans and their families, this struggle can be compounded by the need to adapt to nonmilitary life and fit into the civilian job market. With responsible use, a personal loan can often offer the breathing room necessary to get back on track, particularly when that loan can help you reduce high-interest debt to a more manageable level. Remember, however, that the key is responsible use. By always ensuring you make at least the minimum required payment on time each month, you can not only avoid additional credit damage, but help rebuild your credit score with a positive payment history.